Traveling to another country for a vacation can be exciting in so many ways. A new culture to explore, excellent beaches, fancy resorts, and mouthwatering food. We think food makes up a large part of your trip and adds to your overall experience and the memories you make won vacation. 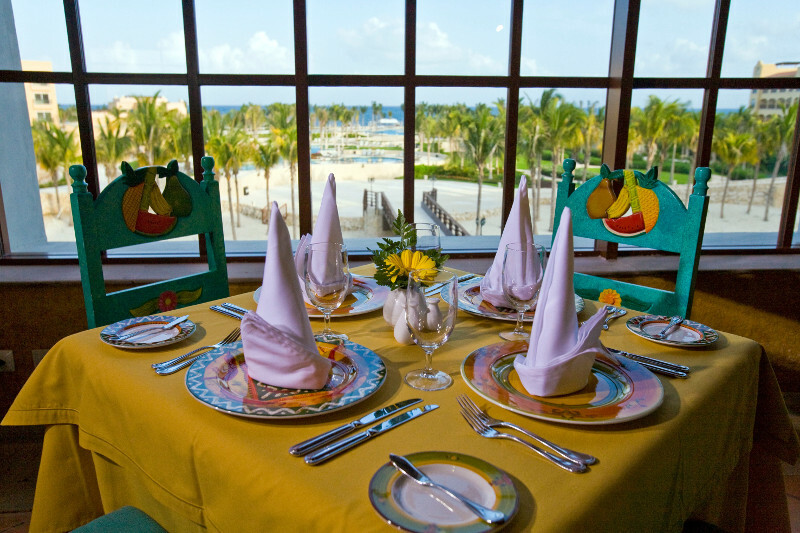 With 5 different resorts to choose from and numerous restaurants to select, you may need some help deciding where you should eat at eat of our resorts, so here are our suggestions. Located inside the resort across from the lobby bar is a fine-dining á la carte restaurant serving international cuisine during the week. This formal restaurant offers a rotating menu including, french, italian, and asian cuisine Monday to Friday from 6:00 pm to 10:00 pm. Don't forget to make your reservation and enjoy a variety of dishes prepared with the freshest ingredients in a great atmosphere. 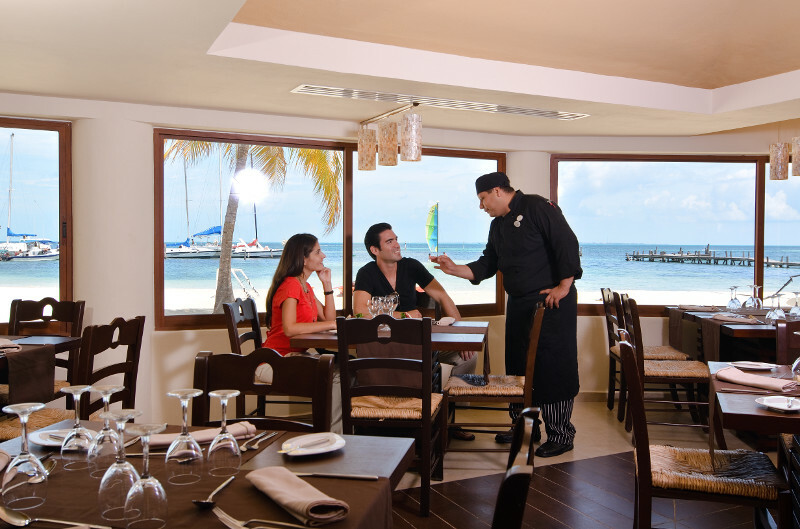 Whether you are hungry for breakfast or lunch, Acuario is here to feed all your needs! Enjoy their continental breakfast from 6:30 am to 7:00 am or the breakfast buffet from 7:00 am to 12:00 pm and be sure to keep an eye out for famous Chef Rosa who is a guest favorite and will prepare your eggs for you any way you like. For lunch feast on an international buffet boasting a large variety of dishes and an excellent selection of seafood from1:00 pm to 5:30 pm. Did we mention the view? Named after one of it's best qualities, the large aquarium that sits just inside this restaurant displays colorful fish for your viewing pleasure while you enjoy a delicious meal. This restaurant has an informal dress code so just remember to bring your shoes and your shirt and you're in! This intimate restaurant provides an incredible view of the beach and ocean while serving italian cuisine and an impressive wine list (and display). A quiet and warmly lit atmosphere has not only great food but exceptional service as well. Feel free to come by for a sit down fancy meal from 6:00 pm to 10:30 pm on Mondays, Tuesdays, Thursdays, Fridays and Saturdays. 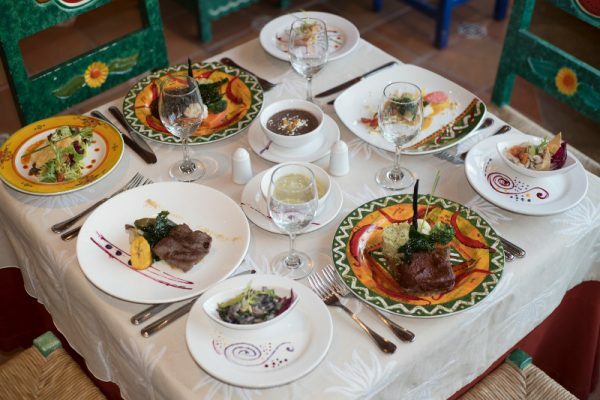 Exotic Mexican flavors come to life amidst decor inspired by Jalisco, Puebla and Michoacán. 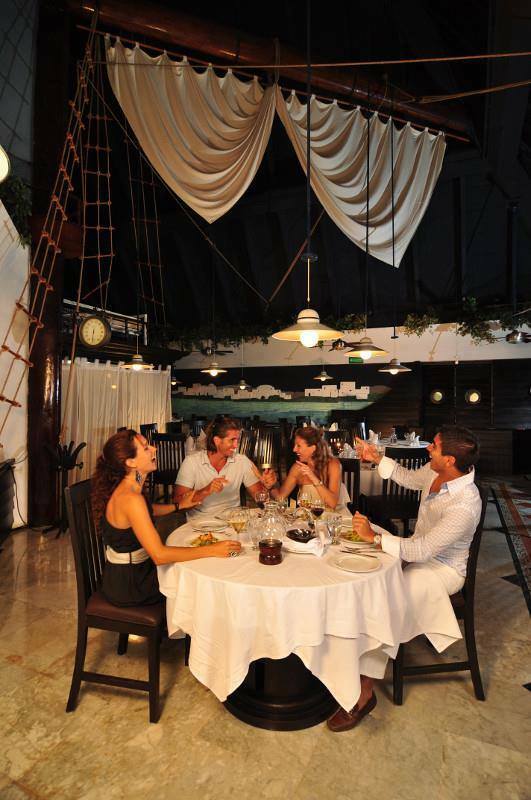 Monday through Saturday from 6:00 pm to 10:00 pm this formal restaurant serves á la carte specialties that change daily featuring sea bass, fresh tuna, grilled chicken, lobster, duck and lamb. And you won't want to miss their mouthwatering desserts such as chipotle crème brûlée, rose petal ice cream and sweet potato cake. Enjoy all of these delicacies while listening to live mariachis featured on Saturday nights. Bonus tip: Don't miss out on sampling some of Mexico's most exclusive and exceptional tequilas at Agave Tequila Bar at El Alebrije. Now that you know where to go it's time to start planning your Cancun and Riviera Maya vacation! Click here to discover all of our amazing packages!